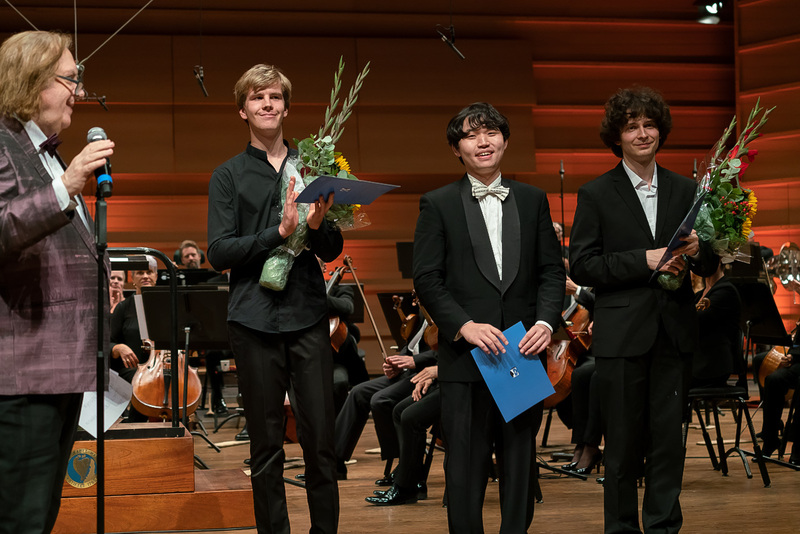 Ryoma Takagi (25) from Japan is the winner of the 1st Prize in the International Edvard Grieg Piano Competition 2018. The 1st prize of the Grieg Competition is 30 000 euro. The 1st Prize also includes prestigious invitations to perform with the Oslo Philharmonic Orchestra and Stavanger Symphony Orchestra, among others, and the winner will appear as a festival artist at the Lofoten Piano Festival. Ryoma Takagi will also come back to Bergen during next summer to give a number of public concerts as “Pianist of the Week” at Edvard Grieg Museum Troldhaugen. Organised by KODE Art Museums and Composer Homes, this was the fourth time the International Edvard Grieg Piano Competition was held at the home of Edvard Grieg at Troldhaugen. The Competition final was held in Grieghallen in Bergen. 133 young pianists from thirty-six countries participated in this year’s pre-qualification process. Of these, thirty was invited to Bergen to join the competition. Stiftelsen Kristian Gerhard Jebsen is the competition’s main sponsor and sole private contributor.